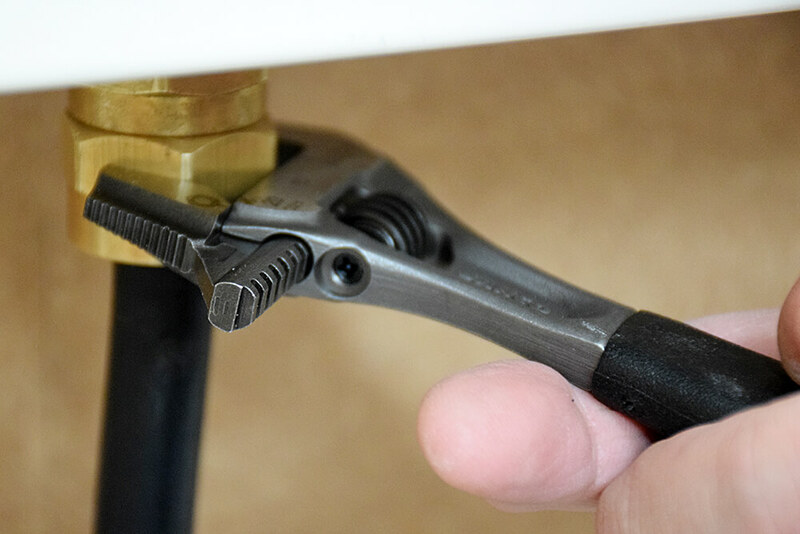 Many assume it is just plumbers who use spanners on site, but they are also an extremely useful tool for electricians to have in their tool bag too. 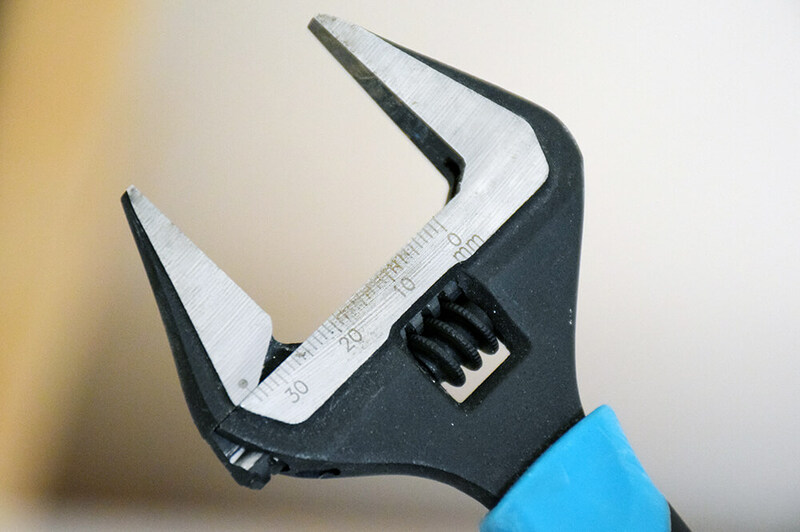 If you don’t have an extensive set of gland spanners, electricians will most often use smaller adjustable spanners for SWA and tightening glands as they are easy to carry in your pocket or keep in your tool bag. 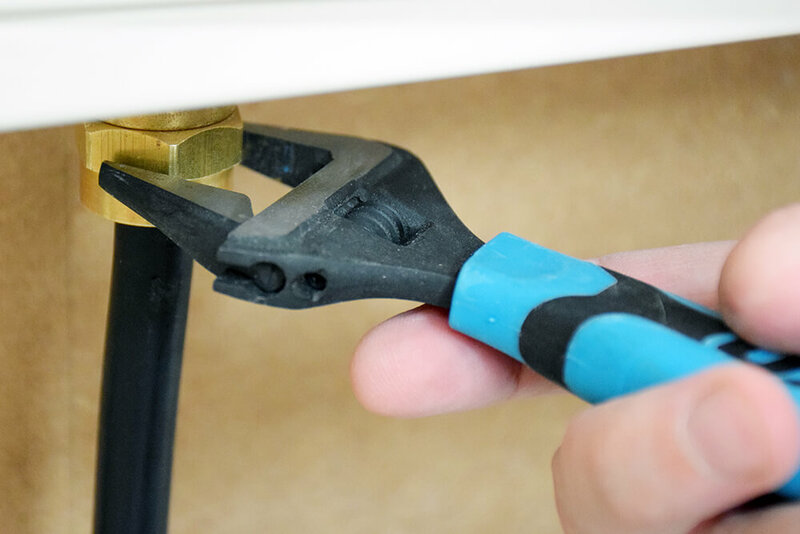 If you are doing extensive SWA work on site every day, we would always recommend to use gland spanners, however for the domestic electrician carrying out the occasional SWA, we recommend adjustable spanners. 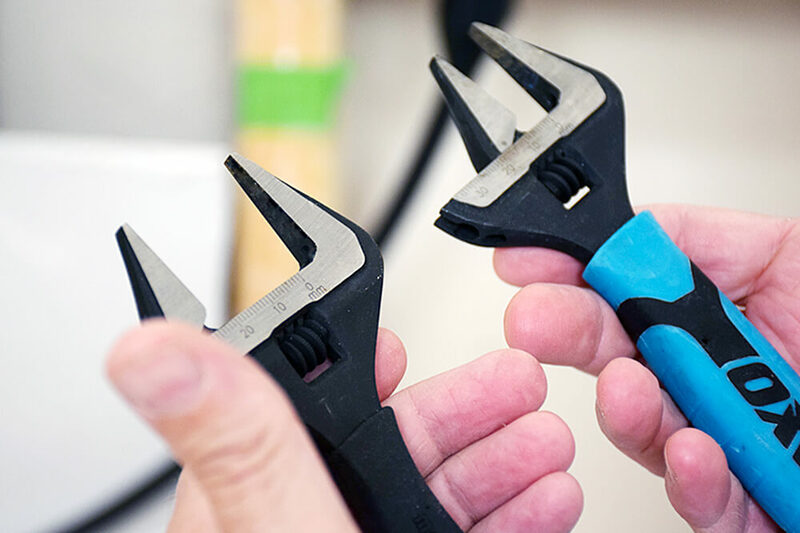 In today’s tool review, our electrical trainers are testing out three adjustable spanners to find the one that is best for the job. Wide jaw opening of 34mm, with a slim head that is perfect for working in small spaces. Measurement scale visible on the jaws. 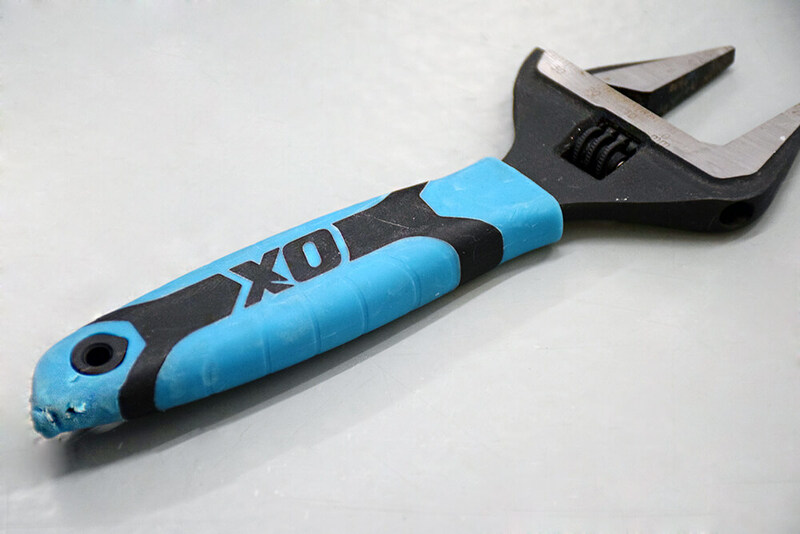 The Ox adjustable spanner is a good pocket size and brightly coloured so you are able to see it easily in your tool bag. The blue rubberised handle provides a very good, comfortable grip. 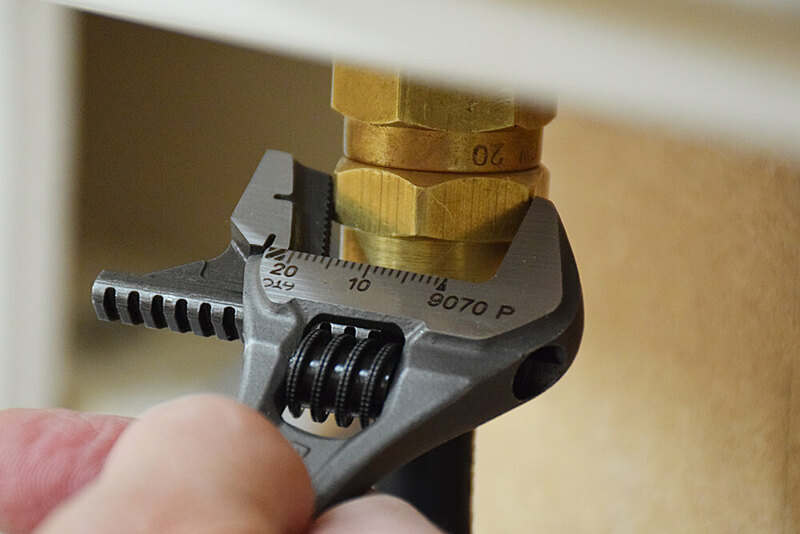 “It’s got a good adjustment and has an extra wide feature, so the jaws can go to 34mm, not just 32mm” our electrical trainer explains. 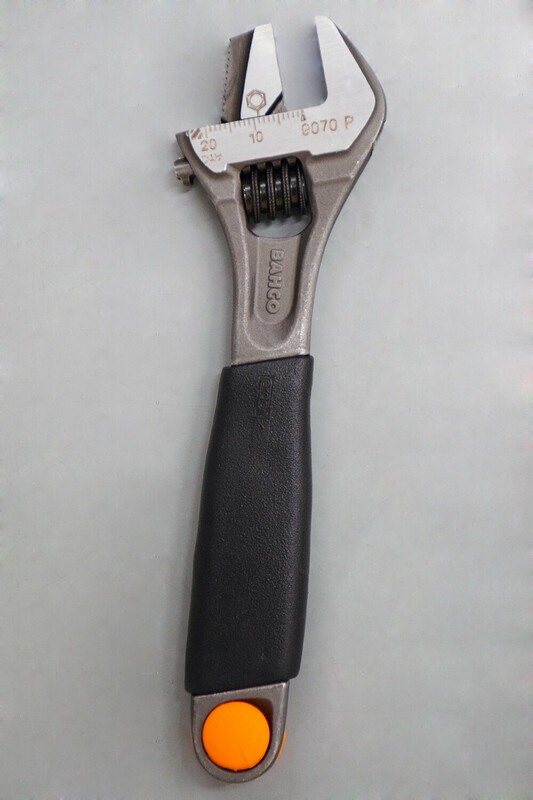 After only a year of use, the spanner jaws are in good condition, the handle is vulnerable to damage. Slim line design to fit in tight spaces. Great adjustment with extra wide jaw feature. Good size indication on jaws. Handle is easily damage as soft rubberised end. Spanner has just one purpose with smooth jaws. Rubberised cushioned handle providing anti slip grip. Made from chrome vanadium steel with phosphated finish. Wide jaw opening of 34mm. Monument have over 75 years of experience developing tools and equipment, and have produced a strong performer in their 6” adjustable spanner. 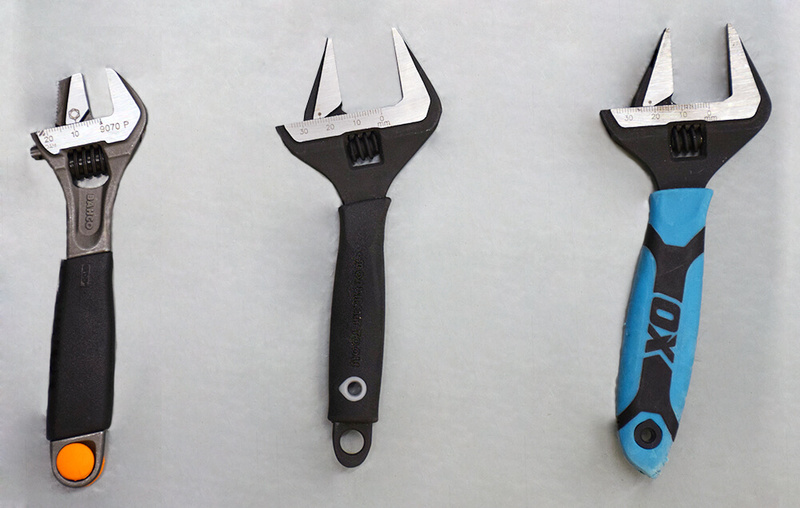 The slim line spanner has a different grip to the other two spanners, “it’s got a certain shape for holding”, our trainer explains. However, it does have the same extra wide jaws that open to a maximum 34mm, providing some good adjustment. 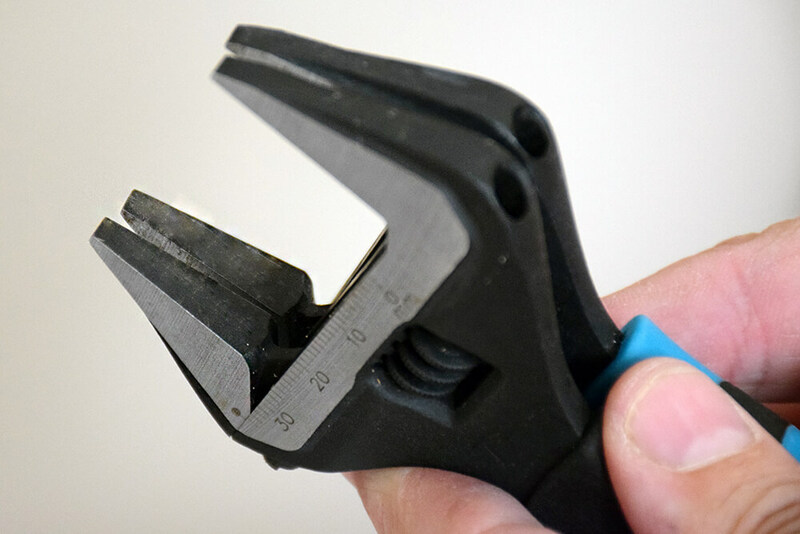 The Monument spanner is again small and slim so it is great for tight spaces and getting in where larger spanners wouldn’t. Due to their slim line design and smooth jaws, our trainers will commonly use the Monument and the ox together, to get a great grip on the SWA. Good handle build, with hardened steel end that withstands some use and storage. However, it is worth remembering that Monument’s grip is shaped for a certain way of holding. Extra wide jaw opening of 34mm is a great benefit. Spanner has just one purpose, with smooth jaws. Slim line jaws that is perfect for tight spaces. Fully adjustable feature, jaws can be reversed to provide not only smooth jaws but gripping jaws too. Comfortable, ergonomic and thermoplastic handles. 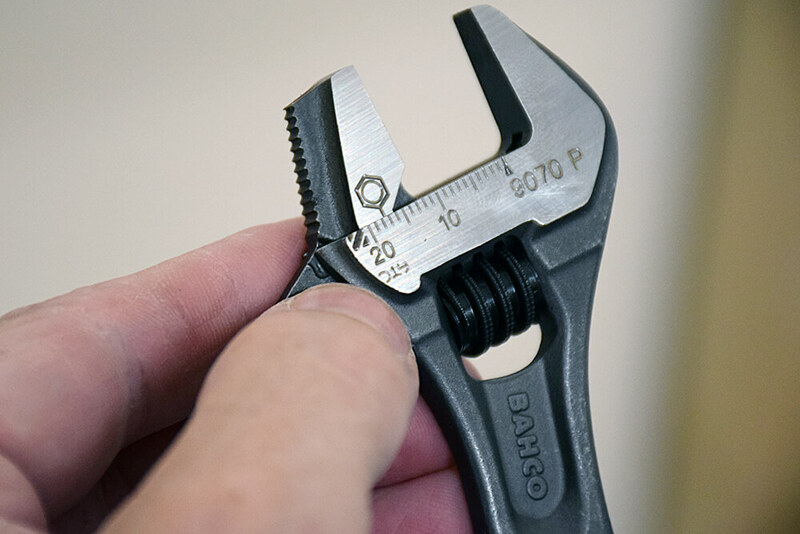 Bahco’s adjustable spanner is another small, slim line design that is perfect for domestic electricians. They have the same smooth jaw as the Ox and Monument, but what’s different about it is the second gripping jaw. 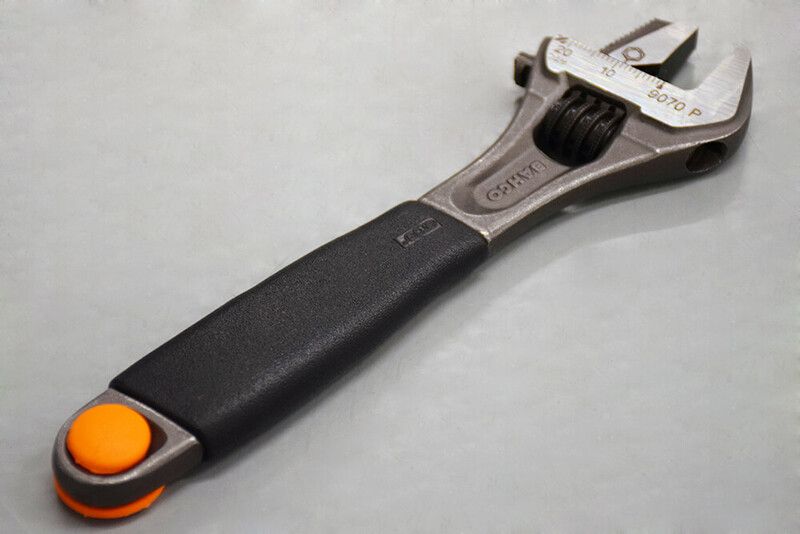 This dual purpose spanner has clear size indications alongside of the jaws. The handle is not easily damaged, as like Monument, the end is not rubber, but rather hardened steel. 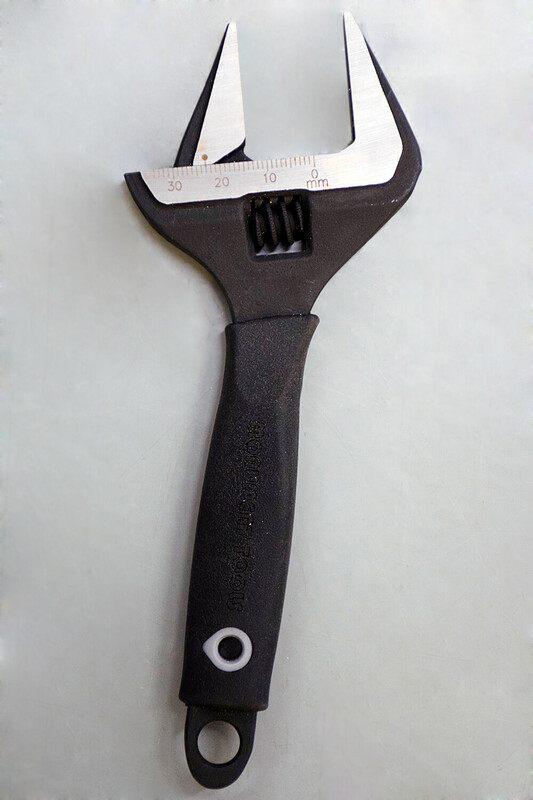 This small, pocket sized spanner is great for conduit and pipe work, and is strong too. The durable build means it will last and won’t give up under constant use. Dual purpose, has smooth jaws and gripping jaws. Wide jaw opening of 32mm. Strong, robust handle with comfortable grip that won’t damage easily. In third place is Ox, with 4 stars, because although it still handles SWA and tightening glands well, it is not dual purpose and the handle has deteriorated quickly, so it does not hold as much longevity. In second place is Monument, with 4.5 stars, because like the Ox, it is not dual purpose, but is still decent for SWA and gland work. The handle on the Monument is also better than the Ox, because of the exposed hardened steel end, instead of rubber. In first place is Bahco, with 5 stars, because of its dual purpose and complete adjustability. 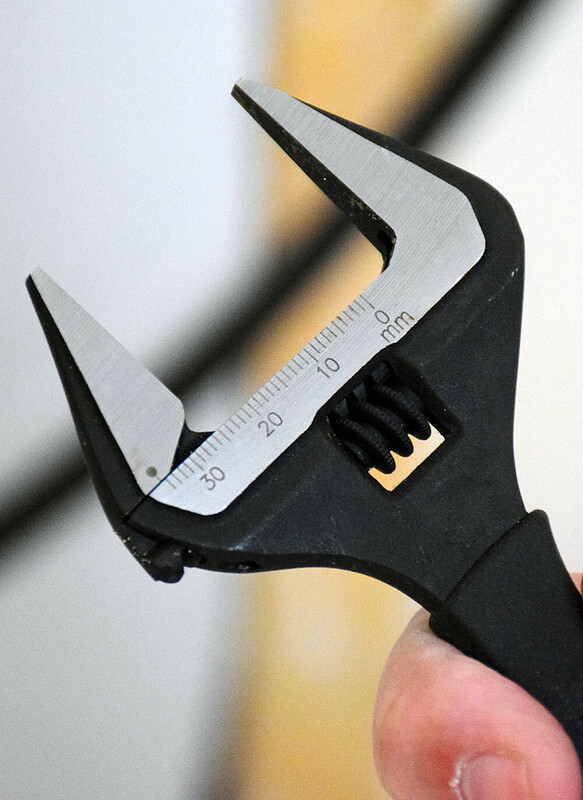 It makes for a handy spanner to have on site for you when doing SWA and gland tightening. The build of the Bahco is arguably the most durable and the one that will have a much longer life with heavy use on site. 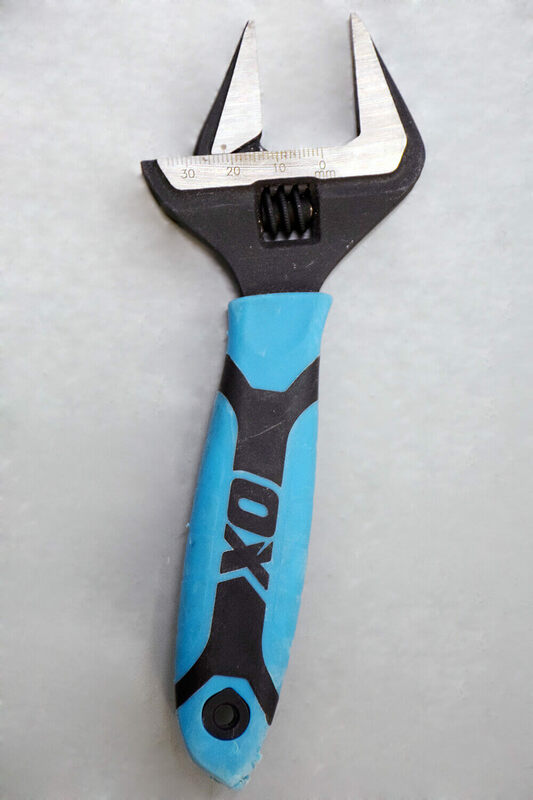 You can buy the Ox Pro 6” Adjustable Spanner from various online retailers, from £15. 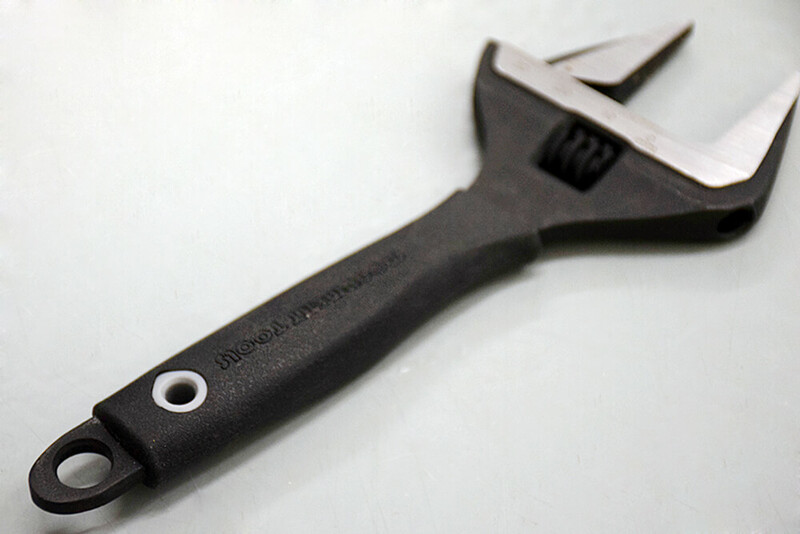 You can buy the Monument Wide Jaw 6” Adjustable Spanner from various online retailers, from £12. 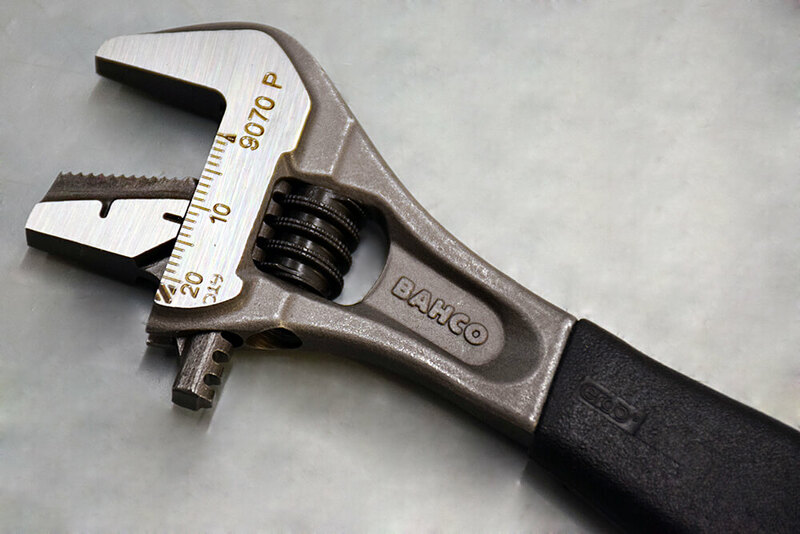 You can buy the Bahco Ergo Wide 6” Adjustable Spanner from various online retailers, from £23. Looking for a tool bag to invest in and keep your tools safe? Take a look at our review of Klein’s Pro Organiser Bag with LED light!